Flooding prompts school, road closures in N.B. OTTAWA -- New Brunswick and P.E.I. have signed child-care funding agreements with Ottawa, one year after the four Atlantic provinces demanded the Liberal government provide extra cash to cover what they said were their unique regional needs. After signing a funding deal Tuesday with the Island government, Social Development Minister Jean-Yves Duclos travelled to New Brunswick with Prime Minister Justin Trudeau on Wednesday to finalize a second deal, the third since negotiations began earlier this year. "Since the beginning of our mandate, supporting Canadian families has been one of our government's top priorities," Trudeau told a news conference at a child-care centre in Moncton, where he was flanked by New Brunswick Premier Brian Gallant and a gaggle of provincial and federal cabinet ministers. "Not all children are lucky enough to have a healthy environment in which to grow and that has to change." 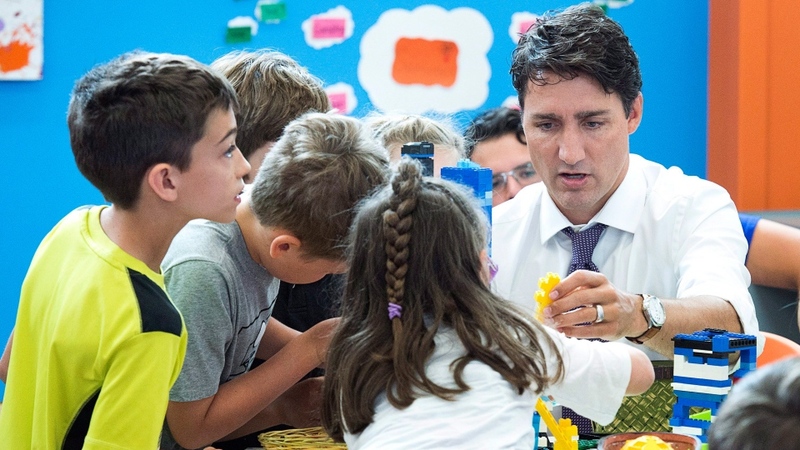 Trudeau said the federal government would invest $30 million over three years on early learning and child-care in New Brunswick, and he said the province would kick in another $41 million. The decision to sign deals comes just over a year after the premiers of New Brunswick, Newfoundland and Labrador, Nova Scotia and P.E.I. asked Trudeau for extra child-care cash to cover the higher costs of covering rural populations. The letter to Trudeau was the second effort by the four provinces to secure extra money to address challenges in their region with accessibility to regulated child care -- a key Liberal requirement to access funding. Federal officials reviewing the request told Duclos in October 2016 that the four provinces provided no evidence that they have higher costs compared with other provinces and territories. 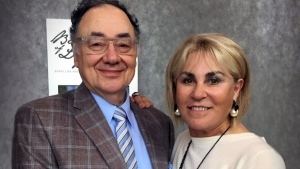 A briefing note at the time suggested the existing federal offer would be more than enough to cover each province's costs. The Canadian Press obtained copies of the letters and briefing note under the Access to Information Act. The federal government is offering each province a base of $2 million in annual funding, topped off with extra cash calculated on a per-capita basis. That means roughly $3.5 million a year for P.E.I., and about $145 million annually for Ontario, the first province to sign on. "Over the last couple weeks, we have worked with provinces and territories to ensure available funding goes to the programs they feel are the most important," said Duclos spokeswoman Emilie Gauduchon-Campbell. P.E.I. plans to spend its money on creating more spaces for children whose parents work seasonally or non-standard hours, as well as Acadian and French-speaking communities, and provide professional development courses for early childhood educators. A spokeswoman for Doug Currie, P.E.I. 's child-care minister, said the province was pleased with the funding in its agreement, believing it would address the concerns raised in the letters. The New Brunswick government says the new money will be used to create more child-care spaces, including 200 more spaces for infants and toddlers. The new funding will also be used to transform at least 300 child-care providers into designated New Brunswick Early Learning Centres, which will provide more spaces, have lower fees and implement inclusion policies for francophone minority communities. Trudeau said the centres will reduce the cost of services for almost 10,000 children, with priority given to low- and middle-income families. A spokeswoman for Nova Scotia's education department said the province believes federal cash will be instrumental in helping it support its child-care goals. Newfoundland and Labrador appeared content with their funding. Spokeswoman Vanessa Colman-Sadd said the province would be happy to receive about $7.5 million annually once their agreement is signed. The federal government plans to spend $1.2 billion on child care over the next three years under the three-year funding agreements it is seeking with provinces. The money is part of the $7.5 billion the Liberals promised to spend on child care over 11 years, beginning with $500 million this year and increasing to $870 million annually by 2026 in order to pay for spaces -- or improvements -- in provinces and territories. That also includes funding for Indigenous child-care both on and off-reserve. Another 'once-in-a-lifetime' flood for N.B. 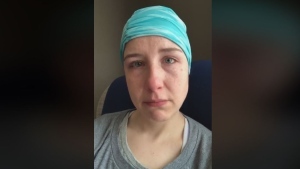 In a video that has gone viral, a Nova Scotia cancer patient is daring the premier to meet with her and tell her there is no health-care crisis in the province.